Save money on your water bill and be sure your plants are getting exactly what they need with a micro-drip irrigation system. A drip irrigation system is exactly what it sounds like–a series of small tubes are distributed along your lawn, garden or property to ensure that water is evenly distributed over time. You won’t have to worry about watering ever again. And if you’re only trying to water something small because you don’t have a yard, Aqua Bright has you covered with a micro-drip irrigation system. If you think that sounds too good to be true, think again. 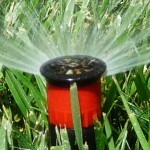 There are multiple advantages to owning a micro-drip system–read on to discover them. Micro-drip irrigation is most certainly accessible to everyone who wants it. There’s no need to dig up established roots or disturb plants. The tubing is small and hardly noticeable. This also means that you don’t have to worry about the system being permanent. You’ll be able to customize it how you see fit, and if you decide later that the system isn’t for you, it can be easily removed without the help of a professional. Hand-watering is not ideal if you want to keep a close eye on your water bill. 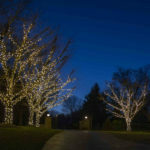 It can get unbelievably pricey to walk around with a hose or can each day to all of your plants. You could be giving them too much, or too little. And your absence, even for just a few days, can be devastating. You won’t have to worry about that with a micro-drip system! 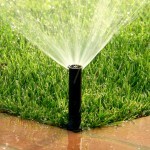 Water is put directly into the soil, so you’re not wasting any water on the surrounding areas. And, you’ll never have to worry about using too much water. It’s always going to be distributing the perfect amount. Do you ever see someone watering their lawn with a sprinkler, only to see that half the spray is covering the entire sidewalk due to a heavy wind? You won’t have to worry about this. It’s just one more way to save water with a micro-drip system. After all, you want to water plants, not your pavement. And small irrigation systems tend to have too large of a range, as well. 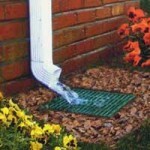 A micro-drip system keeps water contained and evenly dripping at all times. 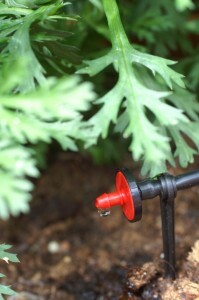 Want a micro-drip irrigation system installed in your small-scale garden? Aqua Bright LLC is looking to help. 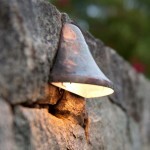 This entry was posted on Tuesday, May 31st, 2016	at 1:48 pm	. You can follow any responses to this entry through the RSS 2.0	feed. Both comments and pings are currently closed.